If you’ve purchased or leased a Mercedes-Benz vehicle from Vin Devers Autohaus of Sylvania, then there’s a good chance you understand the value, craftsmanship, and high-performance engineering that went into making your vehicle. That’s why we encourage you to join the Mercedes-Benz Club of America Membership, an exclusive membership available to Mercedes-Benz drivers that includes many different savings and exclusive benefits. Here’s a closer look at what’s included. Joining the Mercedes-Benz Club of America will cost you less than 15 cents a day, with an annual membership fee of only $55 a year. In order to sign up for this exclusive membership, all you have to do is register online. 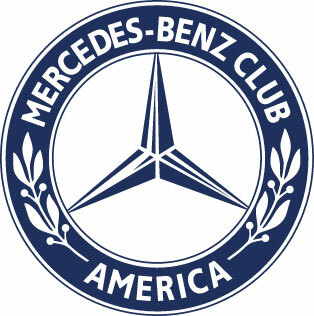 If you would like to give someone the gift of a Mercedes-Benz Club of America Membership, just call (800) 637-2360 Monday through Thursday from 8:00 a.m. to 4:30 p.m. or Friday from 8:00 a.m. to 4:00 p.m.
As a member of the Mercedes-Benz Club, you’ll also have the option of traveling to historic Stuttgart, Germany for a tour. Take a tour of the Carl Benz Museum and AMG® facilities in Affalterbach to see how a state-of-the-art Mercedes-Benz model in constructed. 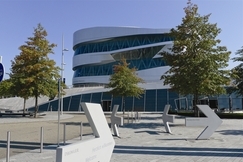 See the Mercedes-Benz Museum and Brand Center in Unterturkheim. Discover the Classic Center in Fellbach. And so much more! 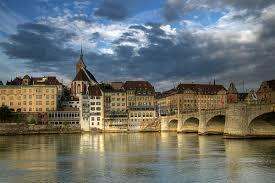 You can even schedule an optional river cruise. On top of all that, this year’s there’s the option of going to the Frankfurt Auto Show before hand on Sunday, September 17. The team at Vin Devers Autohaus of Sylvania is here to assist you in any way we can. Feel free to stop into our dealership to check out our current selection of new Mercedes-Benz vehicles or ask us about the Mercedes-Benz Club of America Membership. We’re located at 5570 Monroe St. in Sylvania, OH, and you can contact us with questions anytime. Vin Devers Autohaus of Sylvania	41.7079816, -83.668109.